"What is Love" centers around two families with sharply contrasting values. One is conservative and patriarchic, the other modern and utilitarian. 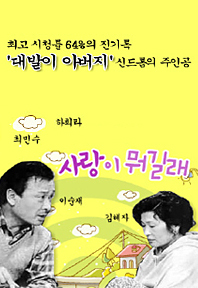 The drama comically portrays the troubles that arise as these two families become quarrelsome in-laws, while also delivering a message about the importance of balancing traditional and progressive values.